Get your head out of the gutter, this is about real colors, y’all—not that racy stuff you watch on the big screen. 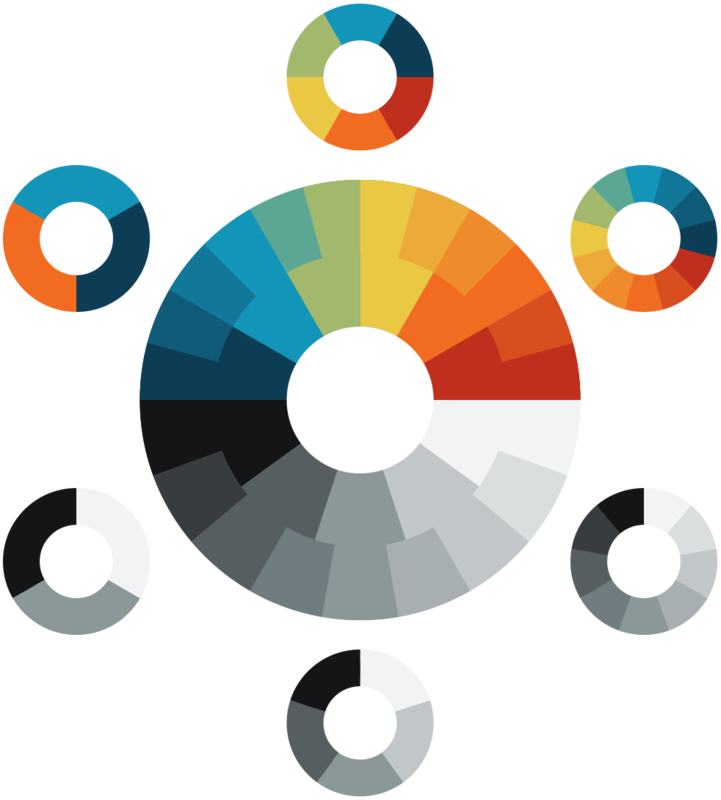 In my last post, I shared a method for creating a full range of colors using color mixing. Here, I’ll share a similar process for grays or neutral colors. It used to be that I would separate my grays into quarters and thirds as a way of covering a good range with memorable increments; but, it always bothered me that the gaps weren’t equal. In other words, you end up with shades that gather closer to the middle of the range than on the ends. When this happens, you miss some good contrasts on the lighter and darker sides of the range. More recently, I’ve worked to fix this imbalance by moving outward from a 50% middle with increments of 11%. This does a couple of nice things. Not only does it retain a perfect middle at 50% -- it goes further to create perfect middles at each gap in-between. 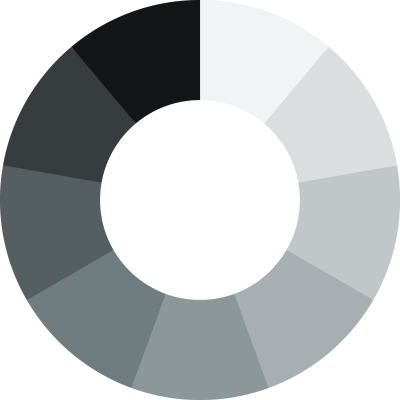 I also get two additional grays (17% and 83%) closer to each end of the spectrum for more options using lighter lights and darker darks. An added bonus is that it eliminates the pure blacks and whites which are nice to keep reserved for limited use, if any. Voila! That’s it. 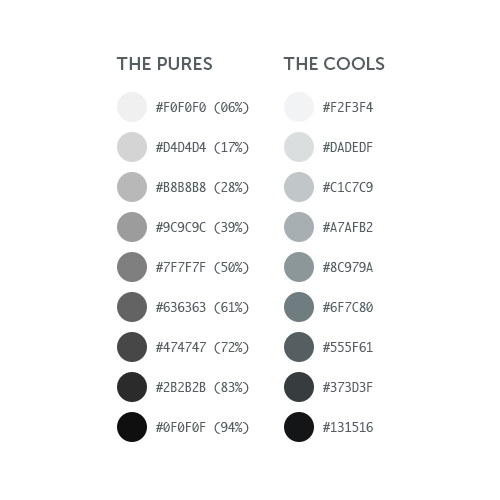 Now we have a full range of cool neutrals to use alongside a full range of bright colors. Here’s what they look like together in an extended Viget color palette.